When a user accesses the enrollment URL from a mobile device, they are guided through a series of steps to enroll the device. 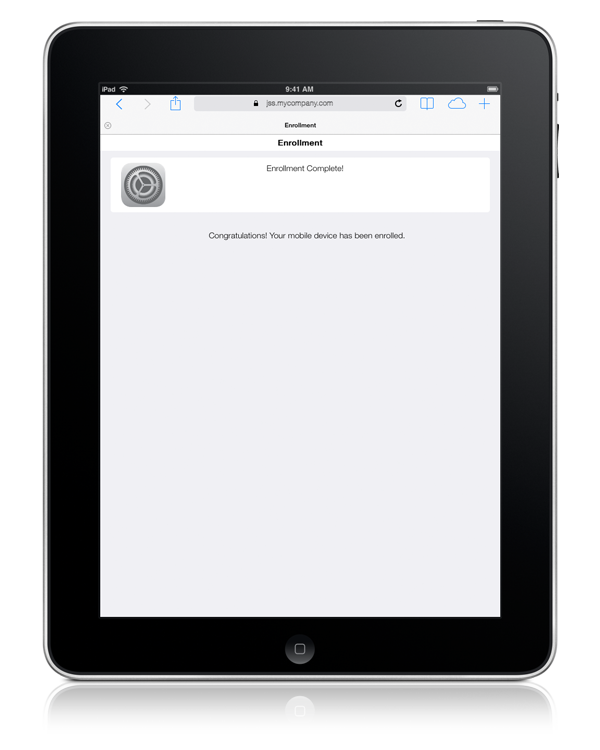 The steps vary depending on the platform of the device being enrolled—iOS or Android. Android devices can only be enrolled as personally owned devices. During user-initiated enrollment of an Android device, the user is required to install Self Service Mobile from Google Play. 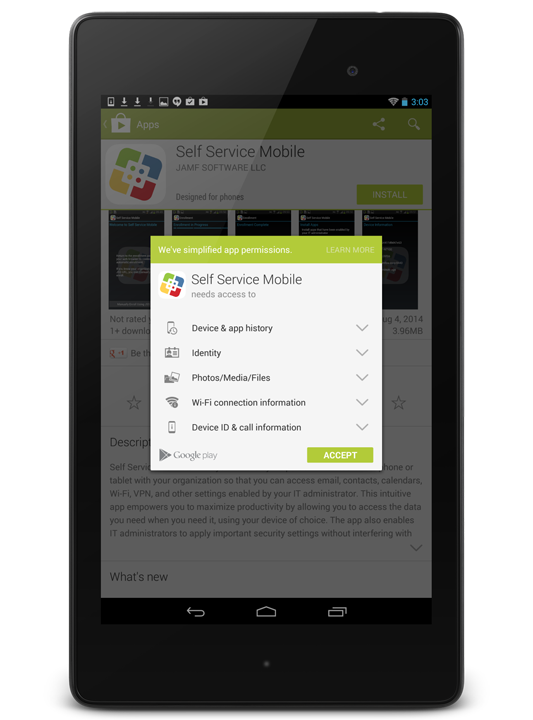 Self Service Mobile must remain installed on an enrolled Android device to keep the device managed by Jamf Pro. If prompted, the user must choose the site that they are associated with. 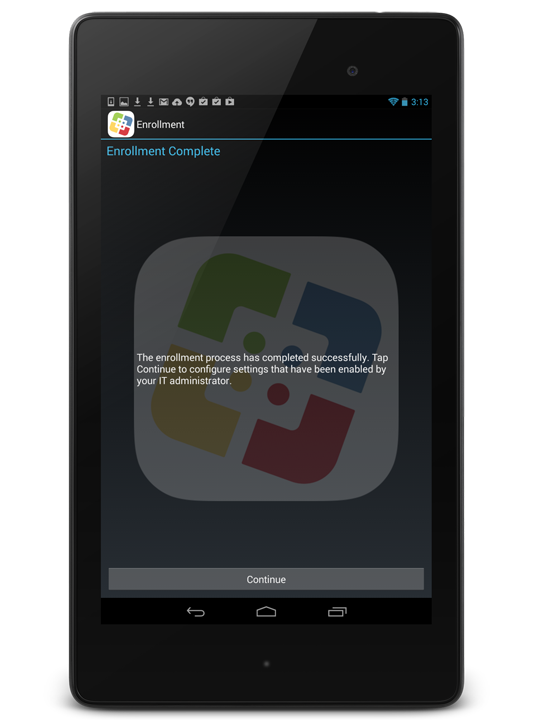 The user is prompted to go to Google Play to install Self Service Mobile, and then return to the enrollment portal. 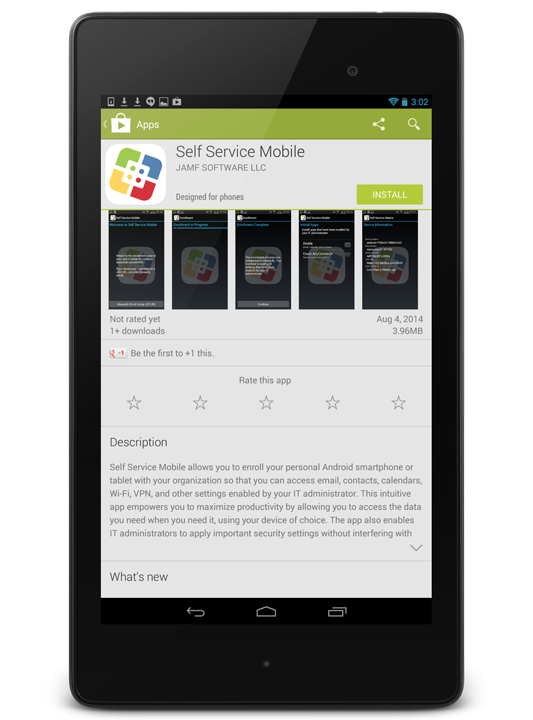 Note: If the user already has Self Service Mobile installed, they can skip the app installation step. 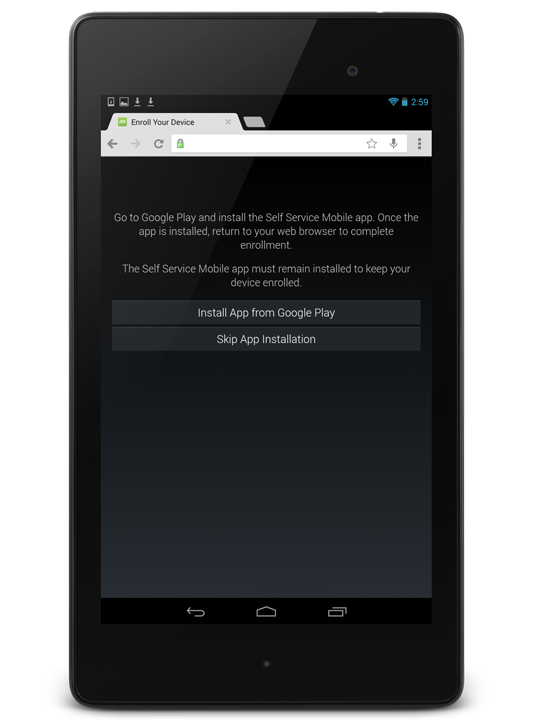 If the user goes to Google Play to install Self Service Mobile, they must tap Install to start the app installation process. The user must then tap Accept to install Self Service Mobile. 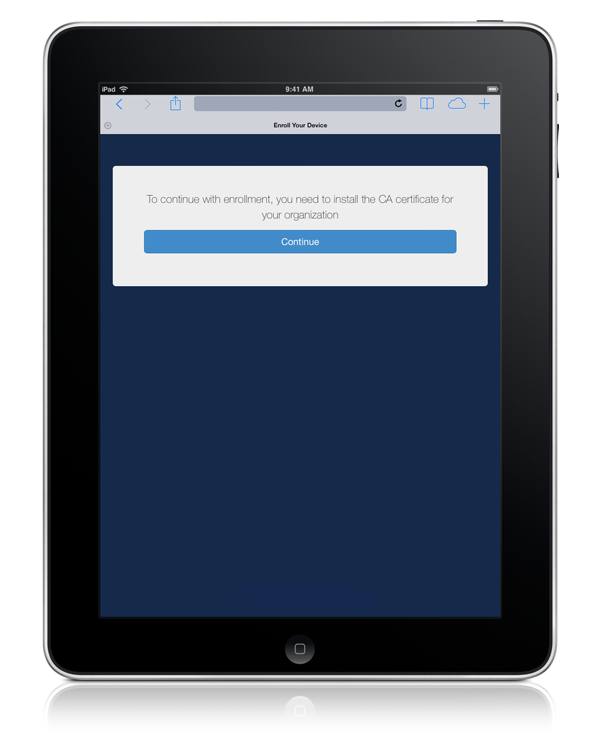 When the Self Service Mobile installation is complete, the user must return to the enrollment portal in their web browser. 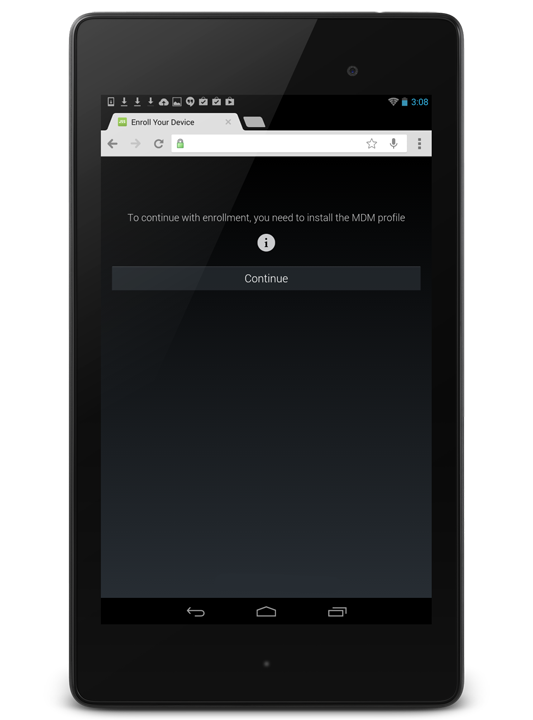 Note: If the user taps Open in Google Play to open Self Service Mobile, a welcome page directs the user to return to their web browser to continue enrollment. If the user knows the Jamf Pro URL to use for enrollment, they can tap Manually Enroll Using Jamf Pro URL and complete enrollment in Self Service Mobile. 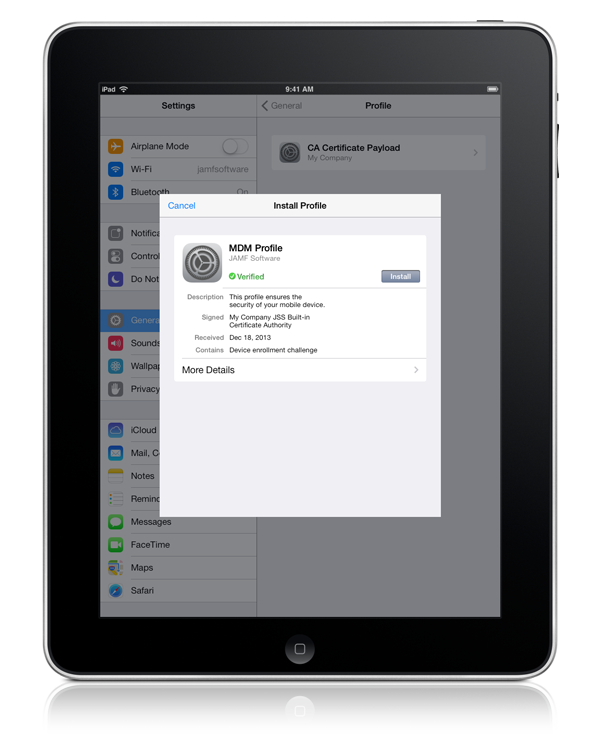 The user can access information about enrollment by tapping the Information icon. 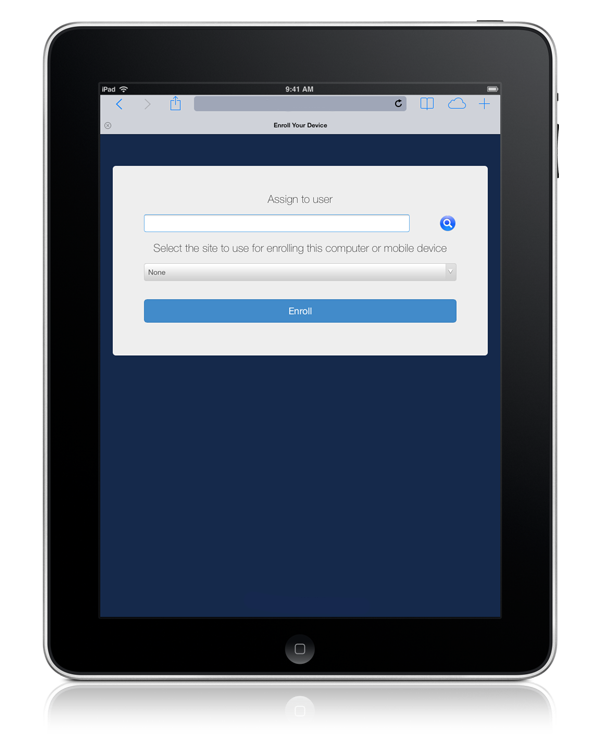 If notified that the device cannot verify the server's identity, the user must tap Yes to log in to the enrollment portal. The Self Service Mobile enrollment progress page is displayed. 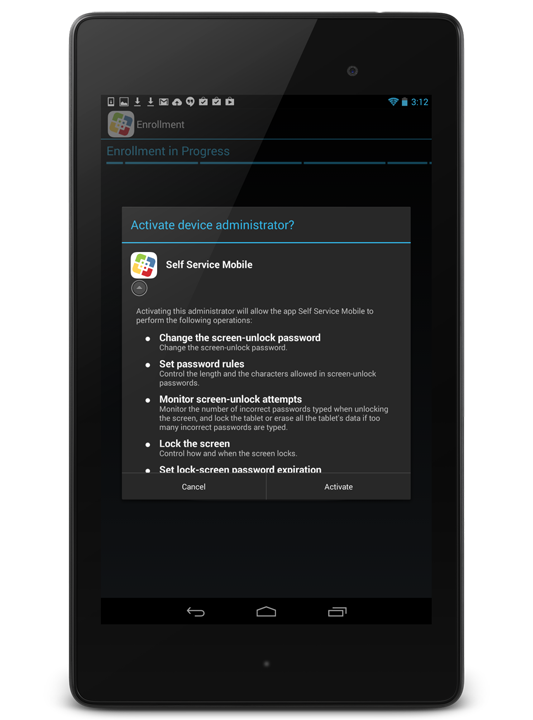 When prompted to activate Self Service Mobile as a device administrator, the user must tap Activate. 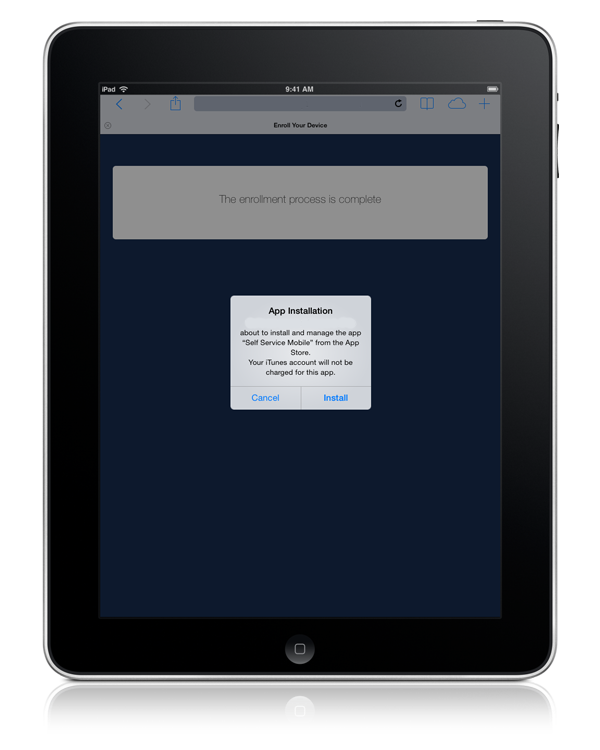 When enrollment is complete, the device is enrolled with Jamf Pro. (Optional) The user can tap Continue to install third-party apps if appropriate for their environment. 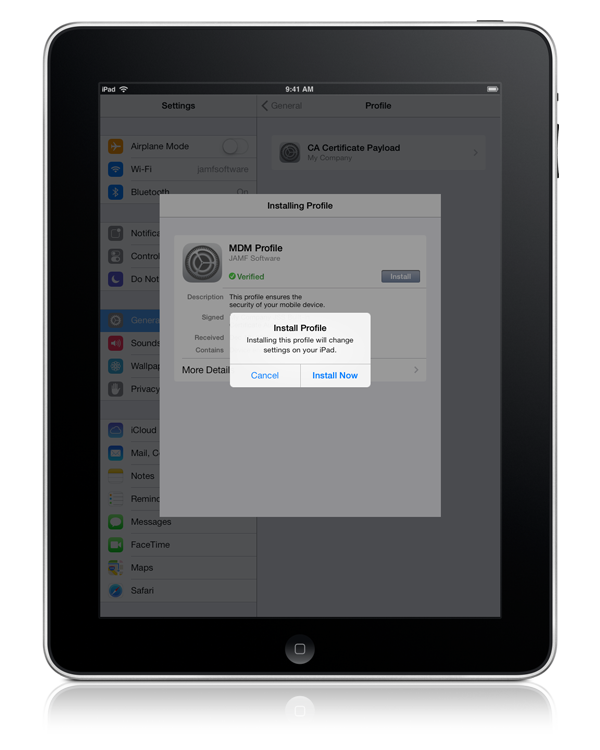 The user can then install apps for configuring email, calendar, and contacts, and for configuring a VPN connection.